Profit Apr 25th, 2019 $3.15 Shopping Cart Payment. Withdraw to allhyips from Funds Broker. Profit Apr 19th, 2019 $3.15 Shopping Cart Payment. Withdraw to allhyips from Funds Broker. Profit Apr 11th, 2019 $3.15 Shopping Cart Payment. Withdraw to allhyips from Funds Broker. Profit Apr 4th, 2019 $3.15 Shopping Cart Payment. Withdraw to allhyips from Funds Broker. Profit Mar 29th, 2019 $3.15 Shopping Cart Payment. Withdraw to allhyips from Funds Broker. Profit Mar 23rd, 2019 $3.15 Shopping Cart Payment. Withdraw to allhyips from Funds Broker. Profit Mar 15th, 2019 $3.15 Shopping Cart Payment. Withdraw to allhyips from Funds Broker. Profit Mar 8th, 2019 $3.15 Shopping Cart Payment. Withdraw to allhyips from Funds Broker. Profit Mar 2nd, 2019 $3.15 Shopping Cart Payment. Withdraw to allhyips from Funds Broker. Profit Feb 21st, 2019 $3.15 Shopping Cart Payment. Withdraw to allhyips from Funds Broker. Profit Feb 15th, 2019 $3.15 Shopping Cart Payment. Withdraw to allhyips from Funds Broker. Profit Feb 7th, 2019 $3.40 Shopping Cart Payment. Withdraw to allhyips from Funds Broker. Profit Jan 31st, 2019 $3.15 Shopping Cart Payment. Withdraw to allhyips from Funds Broker. Profit Jan 25th, 2019 $3.15 Shopping Cart Payment. Withdraw to allhyips from Funds Broker. Profit Jan 16th, 2019 $3.15 Shopping Cart Payment. Withdraw to allhyips from Funds Broker. Profit Jan 10th, 2019 $3.15 Shopping Cart Payment. Withdraw to allhyips from Funds Broker. Profit Jan 3rd, 2019 $3.15 Shopping Cart Payment. Withdraw to allhyips from Funds Broker. Profit Dec 28th, 2018 $3.15 Shopping Cart Payment. Withdraw to allhyips from Funds Broker. Profit Dec 20th, 2018 $3.15 Shopping Cart Payment. Withdraw to allhyips from Funds Broker. Profit Dec 13th, 2018 $3.15 Shopping Cart Payment. Withdraw to allhyips from Funds Broker. Profit Dec 6th, 2018 $3.15 Shopping Cart Payment. Withdraw to allhyips from Funds Broker. Profit Nov 29th, 2018 $3.15 Shopping Cart Payment. Withdraw to allhyips from Funds Broker. Profit Nov 22nd, 2018 $3.15 Shopping Cart Payment. Withdraw to allhyips from Funds Broker. Profit Nov 15th, 2018 $3.15 Shopping Cart Payment. Withdraw to allhyips from Funds Broker. Profit Nov 8th, 2018 $3.15 Shopping Cart Payment. 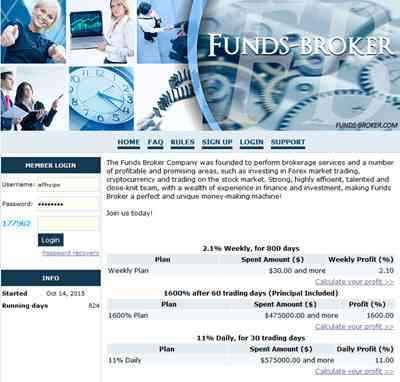 Withdraw to allhyips from Funds Broker.